Yu-Gi-Oh! TCG Event Coverage » Check Out the Top Cut Game Mat for the WCQ and Dragon Duel WCQ! 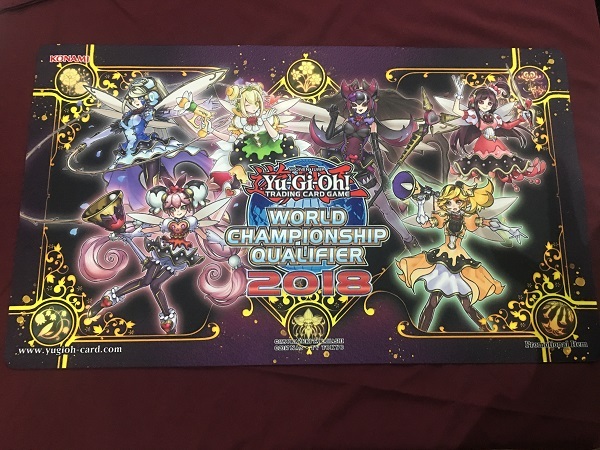 Home > 2018 Central America WCQ, Championships	> Check Out the Top Cut Game Mat for the WCQ and Dragon Duel WCQ! The Top 64 of the 2018 Central America World Championship Qualifier and the Top 8 of the 2018 Central America Dragon Duel World Championship Qualifier have been given their Top Cut Game Mats! The Top 64 Game Mat features the highly popular Trickstar monsters! The Game Mat for the Dragon Duel Top Cut features the same art, but indicates that it was awarded as a prize for Dragon Duels! 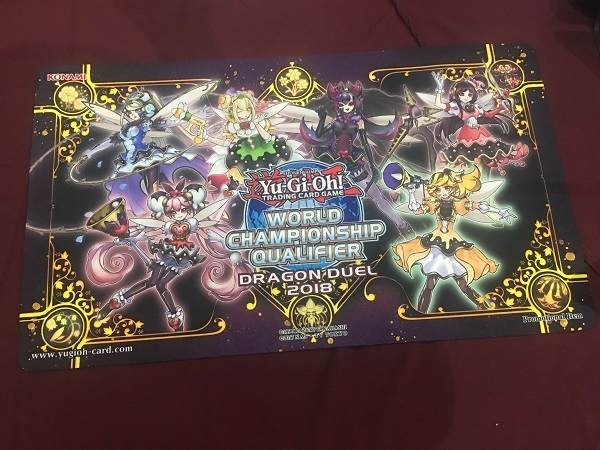 Congratulations to all of the Duelists who won one of these exclusive Game Mats! Top 64 Standings After Swiss! (Includes Deck Types!) Complete Tournament Deck Breakdown!